In a town that prides itself on a diverse music and arts scene it comes to no surprise to see a band like Good Gravy rise from the mix. With bluegrass roots combined with eclectic jams, this 5 piece groups creates a warm, welcoming sound that invites the crowd to get down on the dance floor. 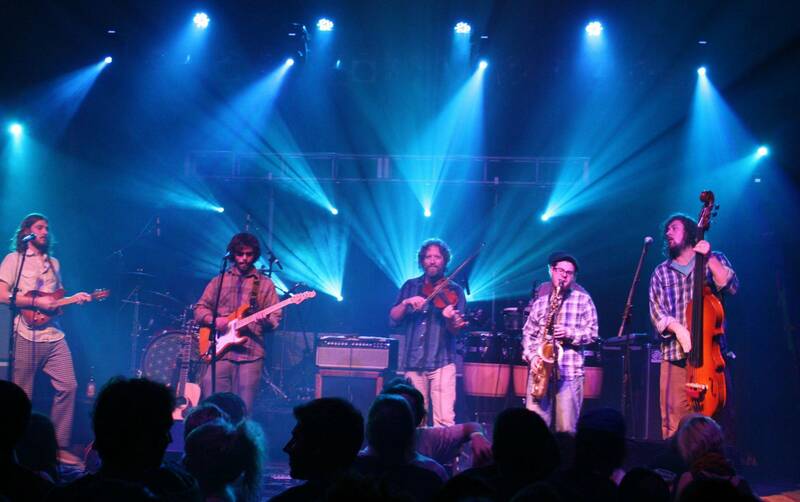 Although the roots of this group are imbedded in bluegrass, Good Gravy dissolves boundaries playing a mix of jam rock, jazz, funk and psychedelic grooves. On top of their eclectic sound, the group is known for their captivating melodies that really fuses their “party grass” sound together quite nicely. Good Gravy consists of Jeremy Page on guitar, lead vocals, Ross Montgomery on mandolin, Evan Brenton on upright bass, Kyle VanBuskirk on percussion and Nick Deyo on drums. 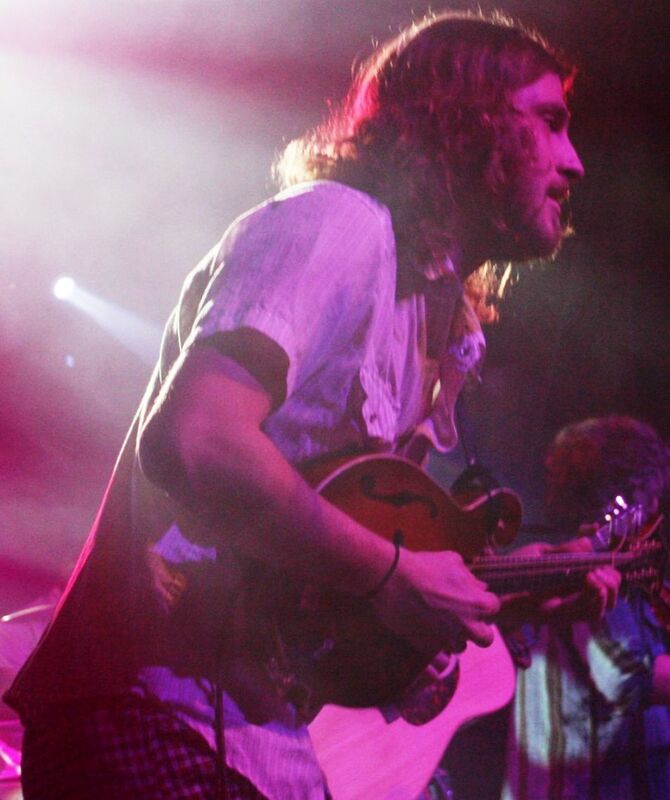 Also sitting in with the band on their recent shows is Zebulon Bowles on fiddle. After playing a string of Colorado shows, the band returns home to Fort Collins, Colorado. I have seen Good Gravy play locally a few times before, so I was looking forward to this show at the Aggie Theater. The band has a strong following locally in Fort Collins and is known for throwing down long dance party jams into the early hours of the morning. I arrived at the Aggie early before the show to meet up with members of the band with hopes for an interview. After meeting some of the band, it is clearly evident that music is certainly a labor of love for this group. The band members I met were genuine and enthusiastic about their music. To get the night started off the crowd was treated to the Dead Winter Carpenters, who have been on tour with Good Gravy on their recent string of Colorado dates. The group encompasses an earthy, americana vibe which started the night off nicely. The acoustic quintet creates a genuine warm, organic sound that was definitely cohesive for the Good Gravy crowd in attendance. It wasn’t long before Good Gravy took the stage, starting off with the blue collar ballad, “Outlaw Man”, an upbeat bluegrass piece that starts off with Page’s solid vocals and then quickly escalates into an intricate neo-psychedelic jam. It certainly didn’t take long for the hometown crowd to get warmed up for these guys, with the dance floor packed and in full force after the opener. The band then played fan favorites “Ronny Letterman” and “Against the Grain”. By combining warm melodies with intricate jams, this band definitely gives off a positive sound right from the start. There are a few things evident when watching these guys play, the chemistry in the band is fantastic, they are locked in together which helps create seamless transitions while jamming, whether it is Montgomery on mandolin or Page on guitar, the two together put on quite a show. Their musicianship is further illustrated when these two put down their acoustics and plug in. I particularly enjoyed watching them take their sound to the next level with the electric guitar and mandolin. The other aspect that is noticed quickly is the driving rhythm section with Brenton on upright bass, Deyo on drums and VanBiskirk on percussion, these three create a beautiful canvas for Montgomery and Page to work with. The driving rhythm that these guys put forth is a staple of Good Gravy. With the show in full swing the band then played another crowd pleaser, “Bashni”, a jam that has loose funky yet playful feel to it. Somewhere in the middle of that song, the group played a well known cover of “Tequila” by the Champs. They even had a saxophone player join them for the jam. A part of Good Gravy that might get overlooked is the play of their percussionist Kyle VanBuskirk, who plays conga, bongos and washboard. Such a percussionist is a rarity in traditional bluegrass outfits, but Good Gravy is far from traditional, VanBuskirk’s play helps to create that loose, latin, easy going sound. Next the group performed their rendition of David Bowie’s “Golden Years”, followed by another fan favorite, “Woo Hoo” off Good Gravy’s 2010 debut album. The fiddle player, Zebulan Bowles, really deserves a lot of credit as well; his play really enhances the jams and overall live sound of the group. This band has no problem keeping the energy up all night; they really put on an enjoyable show for everyone. As time passed close to 2:00 AM, the band finished up their set, and quickly returned for an encore. The members of Good Gravy truly enjoy making music, and that positive attitude emanates from the stage. With Page’s warm vocals combined with driving rhythms and ultra-melodic jams, Good Gravy creates a positive sound that is near impossible to ignore. Good Gravy just finished its string of shows in Colorado and now is heading to northern California for a few shows. 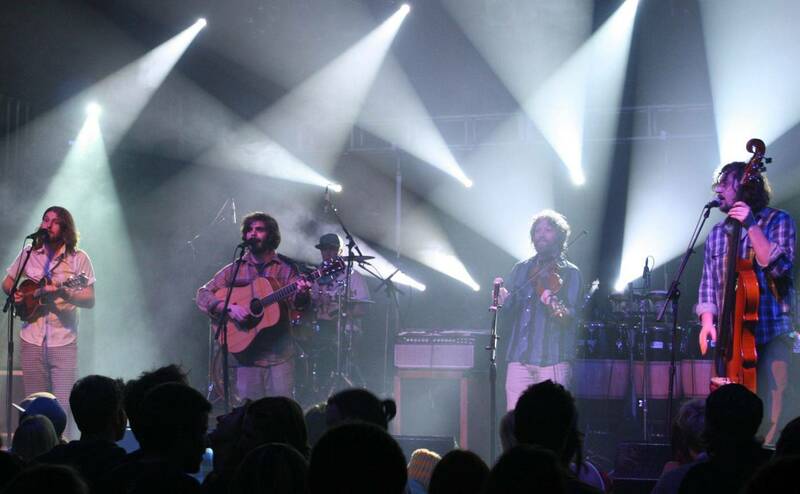 They are also scheduled to open for Railroad Earth at the Ogden Theater on January 18th. The band plans on returning to the studio this winter to work on their second album. They have recently started a Kick Starter campaign to raise funds to complete this album. The future looks bright for the jam-grass quintet, I would advise anyone to check them out.